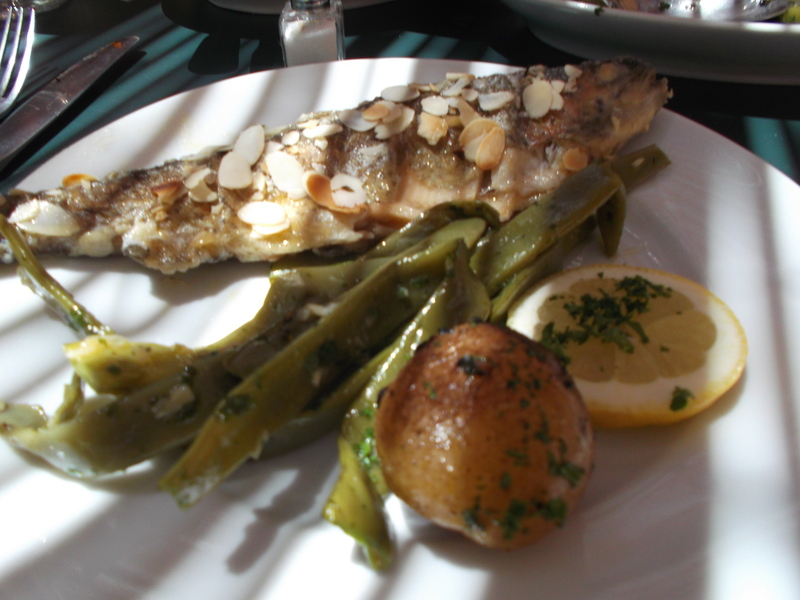 One of the best warm weather traditional Provencal dishes is the Aioli. Named after the garlic mayonnaise like sauce used as the centerpiece of the dish (the word Aioli comes from the words for ‘garlic’ and ‘oil’), this is quintessential Provencal fare. It has it’s roots, like many dishes of that region, in Roman times. It has been revered as a symbol of Provencal life for hundreds of years. 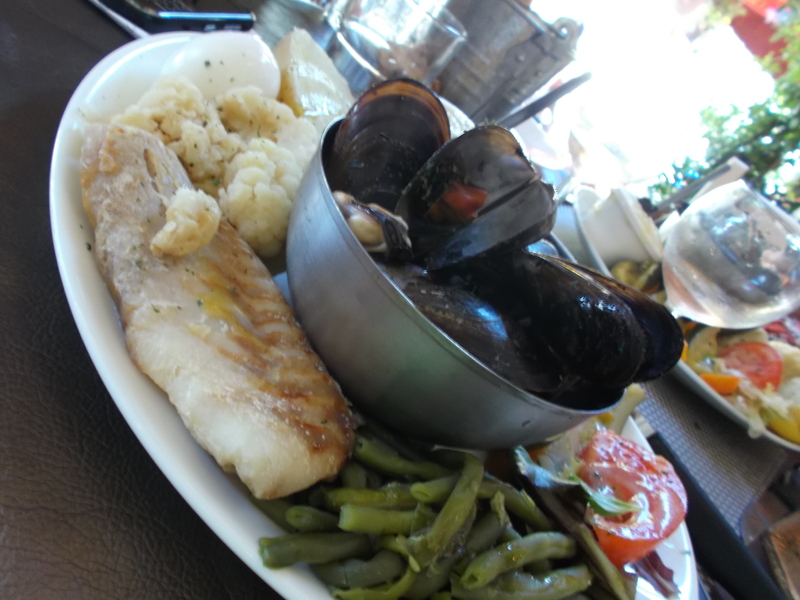 It’s served every Friday at the local cafe (because the fish monger comes on Fridays, and that’s the day of the Provencal market). It’s served at group meals –those community meals offered at village fetes and fares during the spring and summer months. This dish is a market fresh favorite. Everything is served room temperature (unless you have steamed mussels, which of course, are served warm). The sauce is cold. You dip each item in the sauce to flavor it. Take mayonnaise (1/2 cup) and mixed with crushed garlic clove (4-6), a squeeze of lemon, a few tablespoons of white wine (you can determine how thick or thin you want the sauce by how much wine you use), sea salt –and optional flavors such as saffron or herbs de Provence. Mix well, cover tightly and let sit for at least 3-4 hours. Best if left overnight to allow the flavors to meld. As the spring and summer seasons in Provence swing into action, you can be sure that people will be dining on Aioli, sipping rose, and enjoying the sunshine. It’s Bliss! 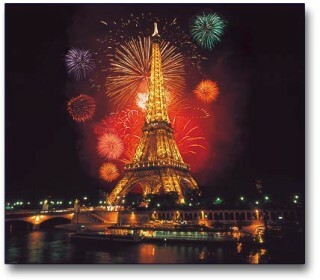 Bastille Day celebrates the formation of the French republic and the overthrow of the French monarchy. This is traditionally symbolized by the storming of the Bastille (the Parisian prison) on July 14, 1789. While there were many reasons for the revolution, the most well known and emblematic is the excessive royal life that Louis XIV and Marie Antoinette led at the court of Versailles. The pivotal moment that Bastille Day celebrates is the freeing of the prisoners from the Bastille. There were, in fact, very few prisoners in the Bastille at that time, so the significance of that event was more symbolic than actual. 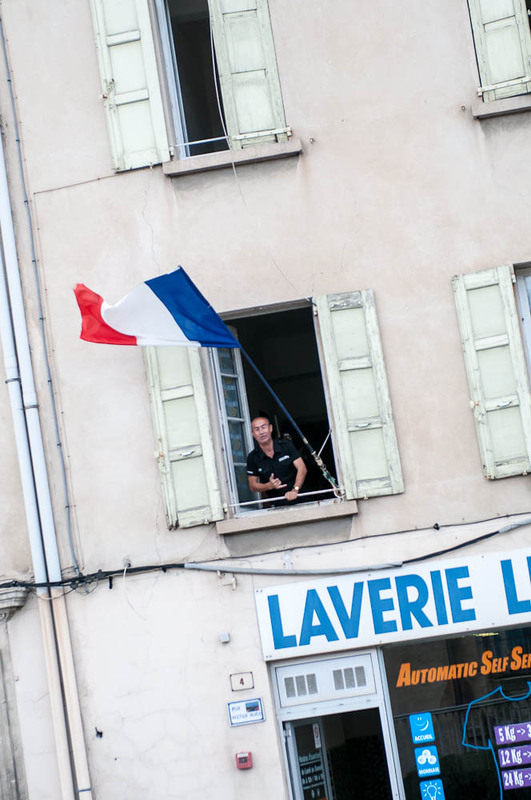 Each year, this holiday, much like our own July 4th, is celebrated with fireworks, parades, village festivals, huge Provencal markets, music and dances –and of course, the flying of the tri-color flag. The tri color flag is a reflection of the motto of the French republic: Liberté, Égalité, Fraternité — liberty, equality and brotherhood. This was one of several mottos used during the time of the revolution. The Fete Nationale (National holiday) is the largest annual celebration in France. Paris attracts huge crowds for the celebration. Pedestrians and people picnicing fill every last space on every Seine river bridge, and along the banks of the Seine. They fill the parks around the Eiffel Tower as well. It is a party that begins in the morning with parades and goes late into the night with fireworks and public balls, live music. As spectacular as Paris is, and as big as the celebration around the Eiffel tower is, I have to say that the countryside is even better. There you can see fireworks over 100o year old villages, experience festival markets and surround yourself with authentic ambiance in a way that is not possible in big cities (no matter how beautiful). 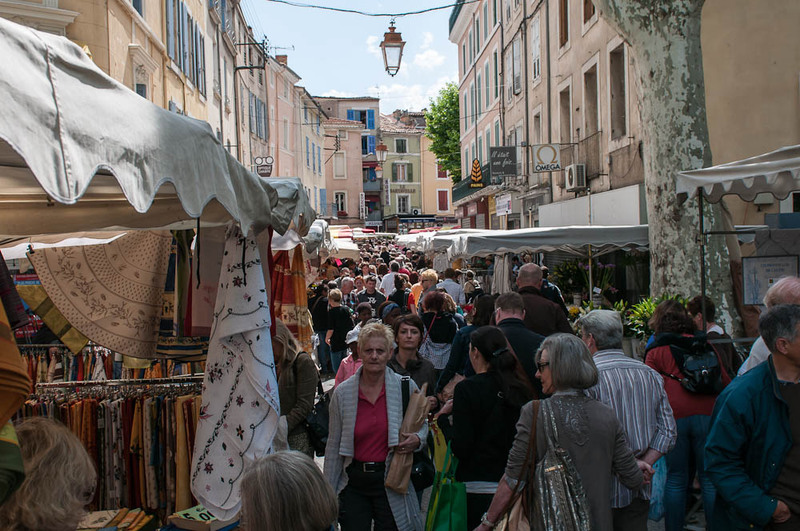 The advice of Bliss Travels: Enjoy the best Medieval Provencal village or Mediterranean “fete” possible for this holiday. It is breathtakingly beautiful, and often feels like time stopped 500 years before you arrived. 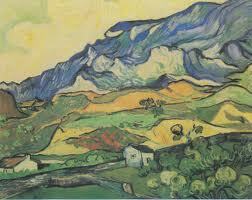 There’s a reason every major impressionist and post impressionist painter traveled there to paint! Van Gogh’s interpretations of the countryside give one a sense of what it feels like to be in that “world” over a major national holiday. One of our favorite places to celebrate Bastille Day is St Remy, home of Van Gogh –and setting for many of his paintings. The celebrations here include markets, fireworks, bull fights, parades and music. The markets wind through almost all of the streets of the old village. They fill every small square, and the periphery roads as well. 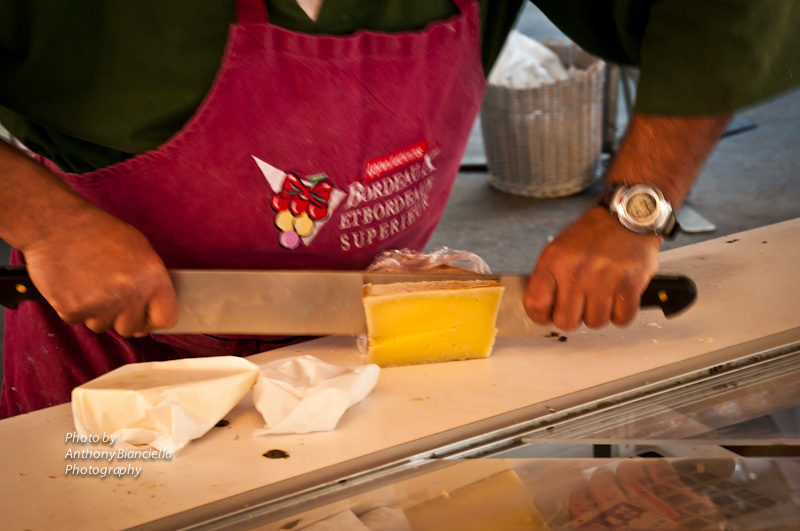 Vendors give out tastes of their products. A sure sign that they are proud of what they are selling. 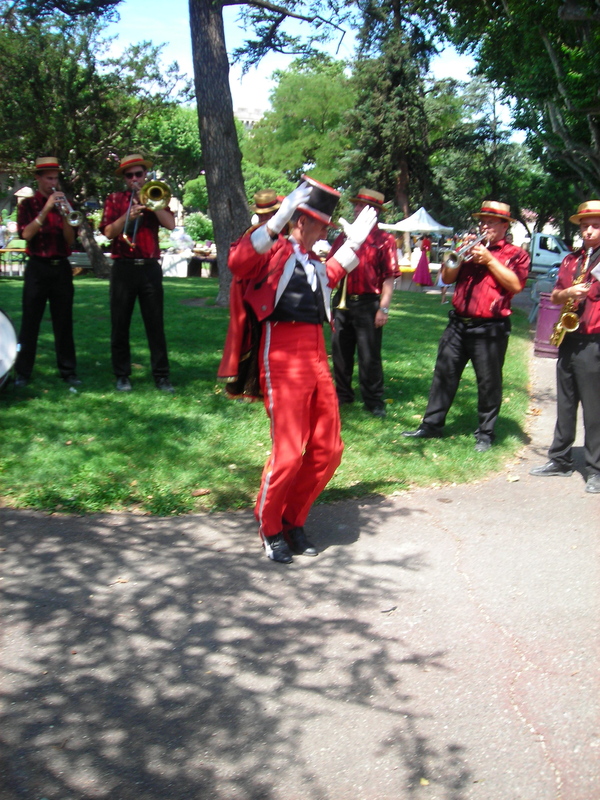 In addition, during the celebrations surrounding Bastille Day, there is music and street performers all over. The bull fights that take place over the national holiday in France are a game during which the bulls are not hurt (though, often, the participants do suffer some injury). 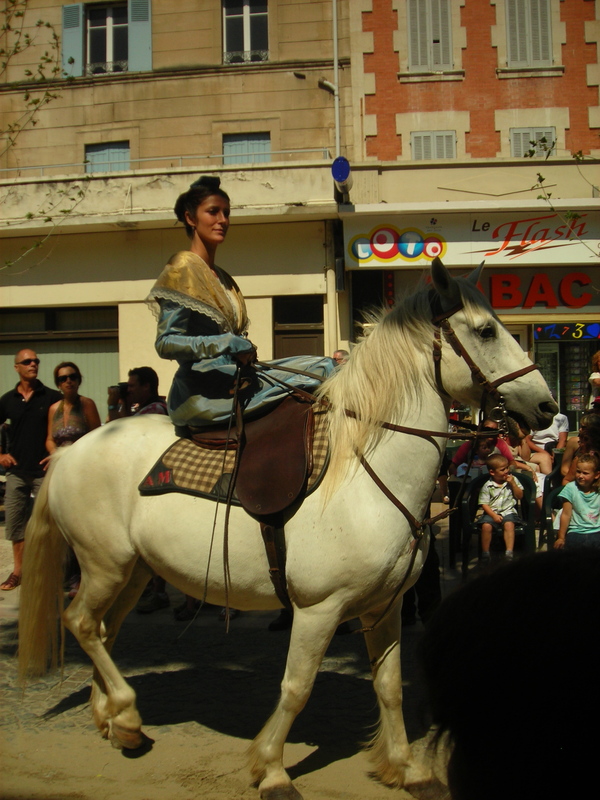 The game is called the “course camarguaise” and involves taking a rosette from the horn of the bull and getting away before the bull can hurt them. 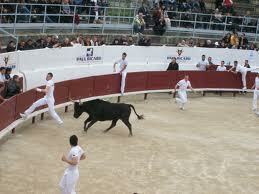 The participants leap over the wooden fence that surrounds the main area of the arena while their team mates distract the bull. 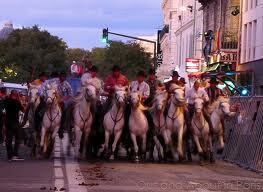 There is also the herding of the bulls by the “cowboys” and the running of the bulls through the streets of the town. This is a major reason to celebrate Bastille Day in the South –these unique events simply don’t happen in Paris! Herding the bulls through the town. The horsemen ride practically on top of each other to keep the bulls locked in their place. Their riding skill is amazing. 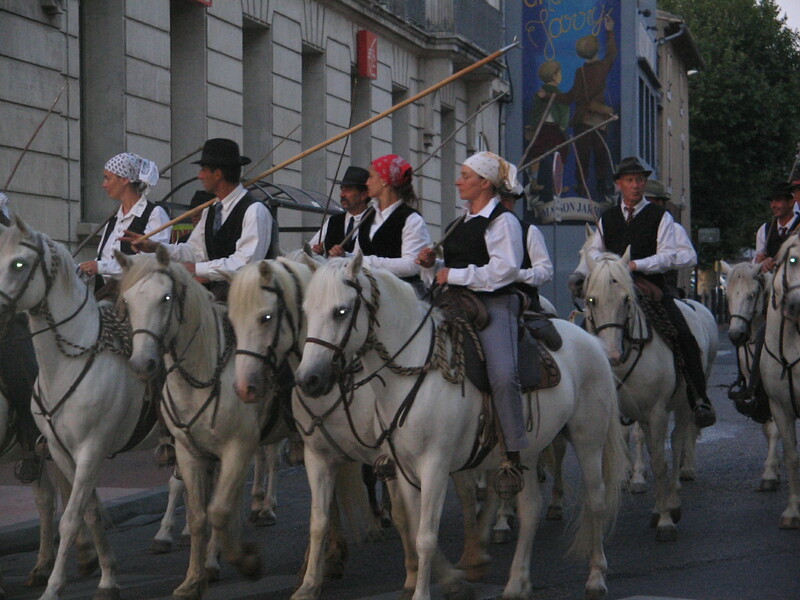 Along with the Camargue cowboys are parades on horseback with traditional dress. The celebrations lead to group parties and meals –the Aioli is one of the most common (and best)! If you want to learn more about what Bliss Travels does on Bastille Day or for other summer village festivals, contact us now! 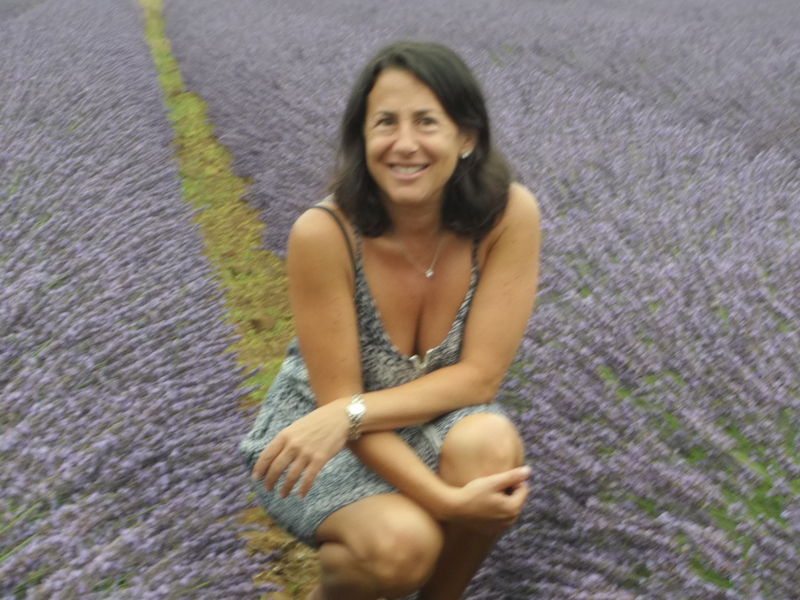 Hope to see you in Provence this summer! Our trip highlights always include culinary adventures. This trip is no exception. A spectacular tasting menu, a private luncheon, even a special cafe…whether formal or casual, it’s truly Bliss! Foie Gras…compote….what more can we say? Marscapone ravioli with parmesan foam make the perfect accompaniment — Tomatoes and an incredible fresh ceviche in an almond milk… squab, cherries, and rhubarb…. A nice finish to the day! Summer vacations involve the beach, for sure. But, what many people don’t know is that there are stunning beaches, with world class views, and great dining –on the Mediterranean, that don’t break the bank –and still make you feel like you’re in a fairy tale land (which you are). Hope you enjoy these photos –as we continue to Tour France. The view from here: looks like this: And this…as you watch the boats go by. This is a little sailing school. Too Cute! look carefully –there’s a castle at the mid point of the cliffs (top of the lower cliff). Staying there is quite an experience. One room left in mid July and one in August. Contact us toute de suite to book. Perspective is an interesting thing. Sometimes it refers to your relationship with people, sometimes time, and sometimes the physical environment…In Provence I usually see all three things at once. And that’s a good day! There’s your perspective AFTER the meal…what do you do? Here’s one idea…Though it’s certainly not the only good idea, it is one that we find Bliss-ful! Then there’s physical perspective –in view and in deed…indeed! To give you some perspective of the size of these cliffs, the above shot was taken from the cliff it faces –at a distance. 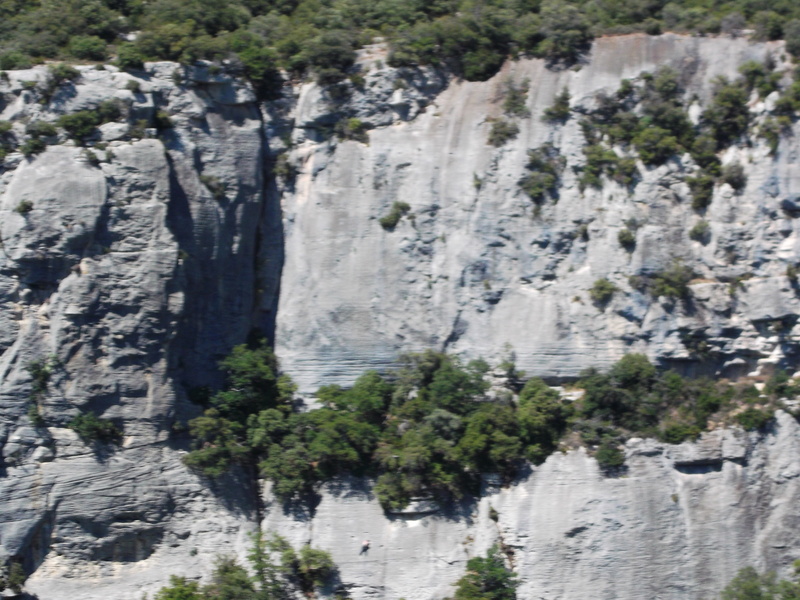 The bottom two show CLIMBERS on the facing cliff. 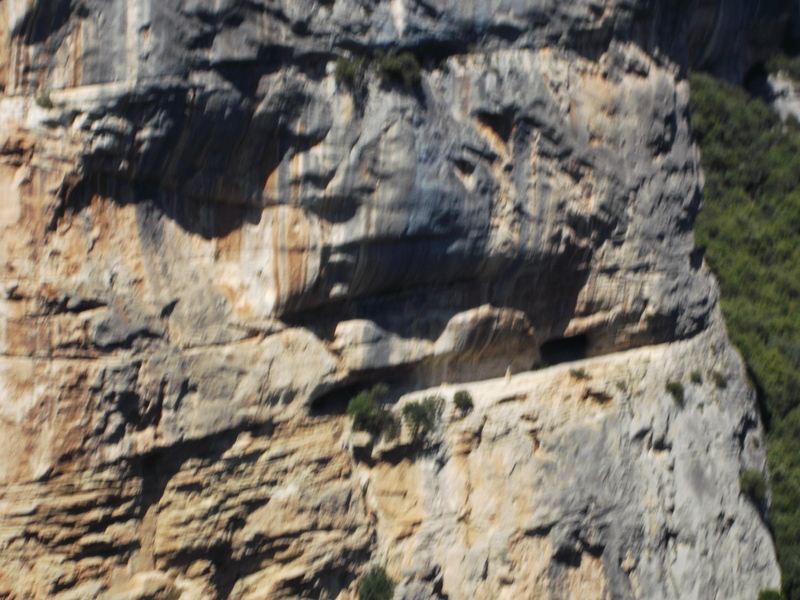 You must look quite hard –they are the “ant” like things on the rock face! 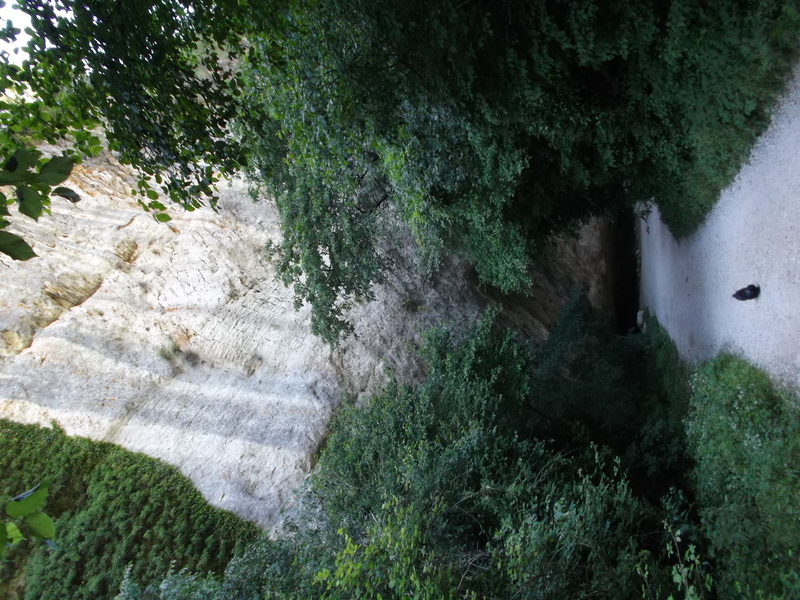 In this shot, the crevice in the rock is actually big enough to camp on –see the people walking inside of it? All of this seems to put life in a better perspective. Bliss is not a “holiday” event or a gift. It should be a regular feature in your life. Call us when you are ready! 609 462 6213 or wendy@blisstravels.com. 2 rooms in August and October are available. 1 room in July. June and September are full.